Why is it that the moment Spring lands I have this strong desire to go “green”? I read articles, research new brands, and make my multiple online carts full with clean products that have extremely beautiful packaging. But at the end of the day I only pull the trigger on one or two items, mostly because I would probably be handed divorce papers by Brett if I actually pushed “Place Order.” The ongoing surge of new clean beauty products that come to market can be overwhelming, but thankfully for you, you have a friend like me who actually wants to try every product (and would if I could) and can help you narrow down the must try items from either personal experience or extensive research. So to kick off Spring I’m sharing with you 7 clean beauty products to try out, four I’ve used and loved and three I want to try next! I don’t ever use makeup wipes and also am not a huge fan of oily bio-phase makeup removers, so cleansing balms are my favorite way to take off my makeup. 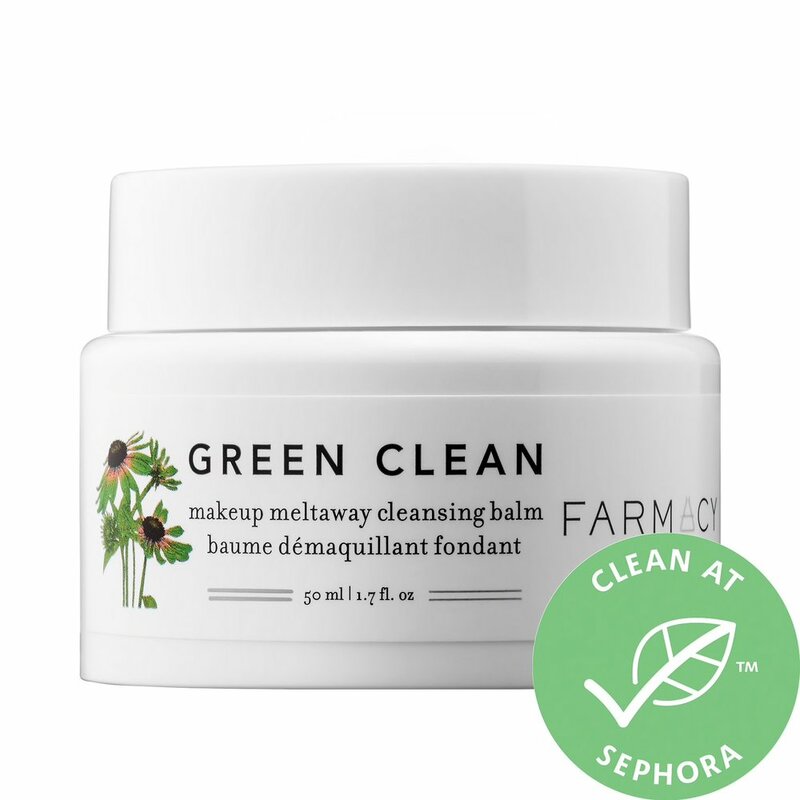 Farmacy’s Green Clean is super effective (even against waterproof mascara) and never feels oily after or drying! I follow up with my usual cleanser and my skin is in HEAVEN. I just finished my second tub last night! So I wrote a whole blog post about my journey with natural deodorant and how much I loved Megababe’s Rosy Pits (still do!). I decided to give Native a-go because it had AMAZING reviews all over the internet and I wanted to see if it could top Rosy Pits and OH MY GOSH. I wish I had been introduced to this deodorant years ago!! It would have saved me so many rashes and disgustingly wet armpits (tmi, sorry). 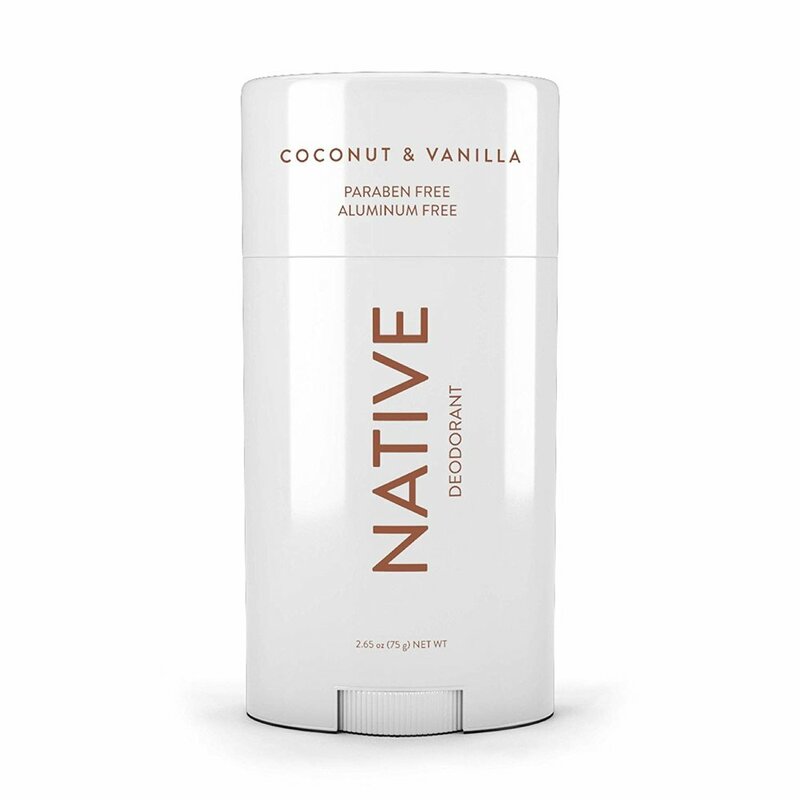 I think this natural deodorant worked better for me than Rosy Pits because it has baking soda which helps get rid of ANY wetness. Rosy Pits intentionally omits baking soda because it can often be an irritant, but apparently it’s exactly what I needed. All that to say, the natural deodorant journey is very unique and will vary greatly from person to person, so if you’re still trying to navigate it, don’t give up hope! You will find your perfect match, I promise! I’m so glad I finally decided to give Beautycounter a go and brought this hero product into my life. I featured this product in a skincare post a few months ago and am still loving it — on my second bottle! I love how gentle but super effective it is. If you are looking for a product to help with overall texture and skin clarity, you need this in your nighttime routine ASAP. It is a bit pricy but so so worth it. I use one pump every night but you can use it only 2 or 3 times a week for just as amazing results and prolong the life of the product! When it comes to clean products I usually explore more in the skincare category, mostly because I’m not as opposed to makeup being “dirty” — so to speak. Skincare is on my skin all day and night while makeup is on far less and so I don’t tend to sweat about it. One clean makeup product I have tried and fallen in love with is RMS Living Luminizer. The coconut oil based highlighter has the perfect subtle sheen. I love that you can wear with or without other makeup on to give yourself that healthy skin look. If you’re a bit nervous to try out highlighter this is the perfect product for you because it is super subtle and impossible to go overboard on! Toted as “the fountain of youth” Vintner’s Daughter’s Active Botanical Serum dramatically transforms the skin with the highest grade of the world’s 22 best botanicals. I have wanted to try out this serum ever since I heard about it a few years ago and even more when I listened to founder, April Gargiulo’s story on the Second Life podcast. After having kids, April was trying to find the do-it-all product that would allow her to take care of her skin, safely, but in very little time. When she couldn’t find that on the market she decided to make her own, using the expertise she learned in her family’s small bath winery, hence the name, Vintner’s Daughter. When I think clean beauty I think skincare and makeup, but almost never nails. I always have polish on so why am I not taking the same precautions for my nails as I am for my face and body? Enter Ella + Mila, a new nail polish line housed at Target. Formulated without all the “bad stuff,” it allows you to have fun with polish without suffocating your nails with toxins. I just recently learned about this clean brand, Josh Rosebrook, through watching multiple YouTube videos of my favorite beauty bloggers. This is the product they are all LOVING. It it is supposed to take place of a toner by alleviating the skin’s surface tension and allowing it to be open to receive hydration and other benefits from the rest of your skincare products. When my current toner is up I plan to replace it with this and see if it lives up to the hype!